The courier Tolstoy later heard that getting shot changes a person. He didn't know if that was true, but he remembered how odd he felt recovering at Doc Mitchell's. Like he shouldn't have been there. Like he should have instead remained in the shallow grave atop the hill overlooking Goodsprings, where Benny had left him to die. Benny. That was what else Tolstoy remembered, how Benny had raised the gun to Tolstoy's face. That gun was the last memory of whatever life he had before. What an awful thing to have. The memory of the gun unsettled him. Tolstoy didn't wish it on anyone else. So, as he stepped out into the Mojave, Tolstoy resolved to never let violence be anyone's last memory of him. And that included Benny, if Tolstoy ever managed to find him. Confronting Joe Cobb and his Powder Gangers proved an early challenge, though. Even when left with no options for peace, Tolstoy refused to leave Goodsprings in endless anticipation of terror. 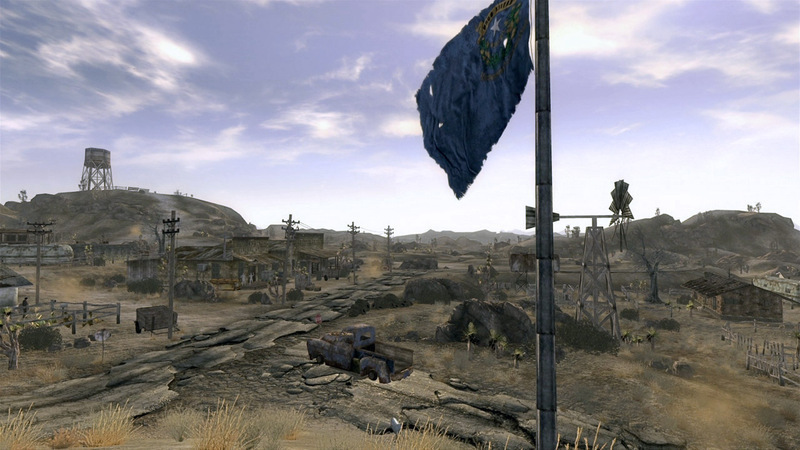 The choice to empower and enable the residents of Goodsprings to fight for their town was a difficult one. He watched, not impartial, as Sunny Smiles, Trudy, and others cut down Cobb and his men. Tolstoy helped clean up after as best he could, gathering armor, weapons, and other items for trade at the general store. The persistence of Joe Cobb's corpse upon Tolstoy's every return to the town would continue to disturb him in the days to come.